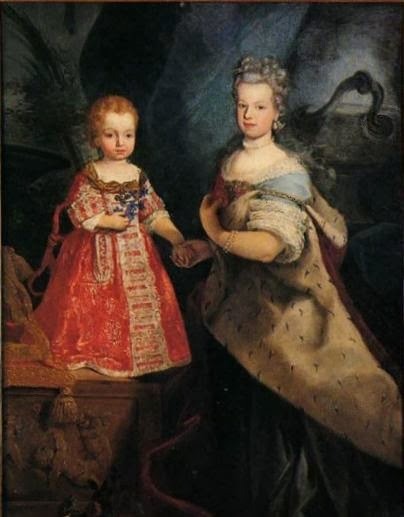 Princess Elisabeth Therese was one of 11 children born to Leopold Joseph of Lorraine and Élisabeth Charlotte d'Orléans. She was a member of an illustrious line, counting monarchs and emperors among her family. There was never any doubt that the young girl was destined to make a good marriage and when her daughter was 10 years old, Élisabeth Charlotte took two of her daughters to the French court with the aim of matchmaking between these two powerful families. Presenting the bright and charming girls to the court, Élisabeth Charlotte used her considerable powers of persuasion to broker a marriage deal but found her efforts frustrated by advisors of the young king. Once it became clear that Louis would marry Marie Leszczyńska, Élisabeth Charlotte turned her attention elsewhere and began marriage negotiations with her nephew, Louis d'Orléans, duc d'Orléans. Louis was bereft at the recent death of his beloved wife and flatly refused to even consider remarrying, much to his aunt's annoyance. Despairing that she would ever marry her daughter to an illustrious household, in 1734 Elisabeth Therese was installed at Remiremont Abbey, the convent where her sister would later become abbess. 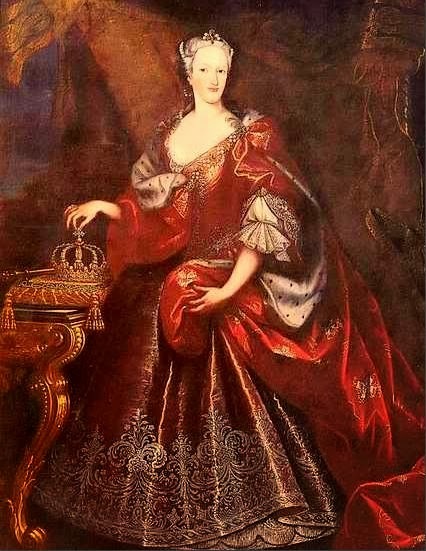 However, Élisabeth Charlotte finally saw her chance when, in 1736, her brother married into the House of Habsburg. 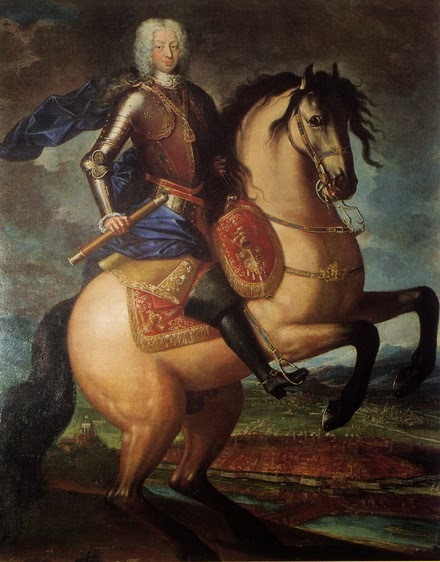 Thrust once more into court life, Elisabeth Therese attracted a proposition from her cousin, Charles Emmanuel III, the twice-widowed King of Sardinia. The acceptance was immediate; a dowry was raised and on 5th March 1737, the couple were married by proxy. The very next day the bride left to meet her new husband, with a lavish marriage ceremony taking place on 1st April. In their short, friendly if not passionate marriage. the couple would have three children, though only one would survive into adulthood. The birth of Elisabeth Therese's last child, Benedetto, Duke of Chablais, proved traumatic for the expectant mother and she fell ill with puerperal fever. She lingered for two weeks before succumbing to the fever, leaving her husband a widow for the third time and her son without a mother. Her short life at an end, Elisabeth Therese was buried in the Cathedral of Saint Giovanni Battista in Turin and remained there for over four decades before her body was moved and reinterred beside her late husband in the Royal Basilica of Superga. As the only surviving child of the marriage, Benedetto enjoyed a noted career in the military before his own death, when he too was laid to rest with his parents in the Royal Basilica. He never married and left no heir to his title.